Imagine a dilapidated house, condemned and boarded up, awaiting its ultimate fate of demolition. It is a scourge on the neighbourhood, an eyesore, a constant reminder and lingering threat of utter ruination. This miserable, failed, dying thing, needing desperately to be put out of its misery. 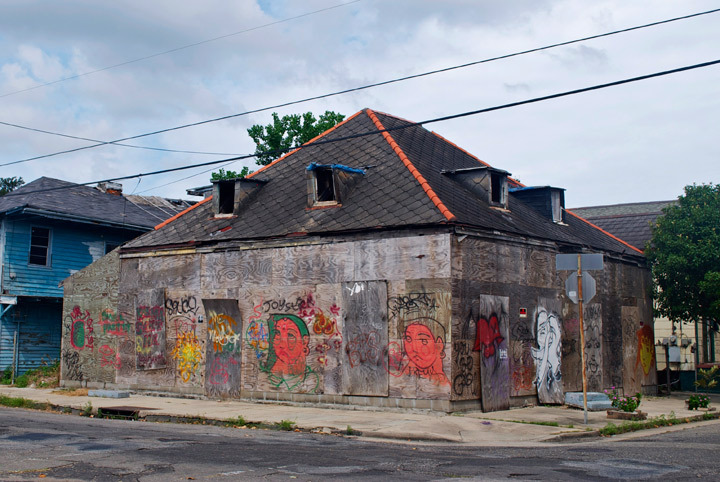 An artist comes, full optimism and hope for her beloved New Orleans. She takes this nightmare, transforms it, and gifts it back to the people in dreams. 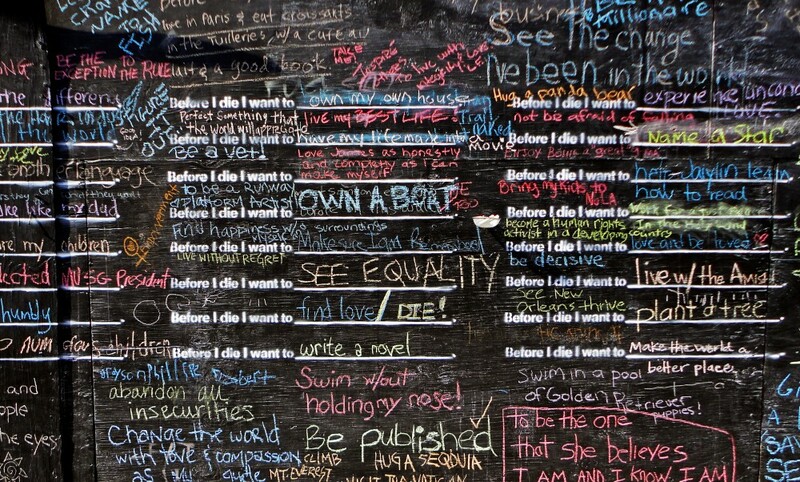 Candy Chang covers the house in blackboard paint, stencilling on the phrase 'Before I die I want to_____________.' She leaves boxes of chalk and invites everyone to fill in their blanks. Before long, every inch is filled with the hopes, dreams and intentions of hundreds of people. Take six minutes to watch this story here. 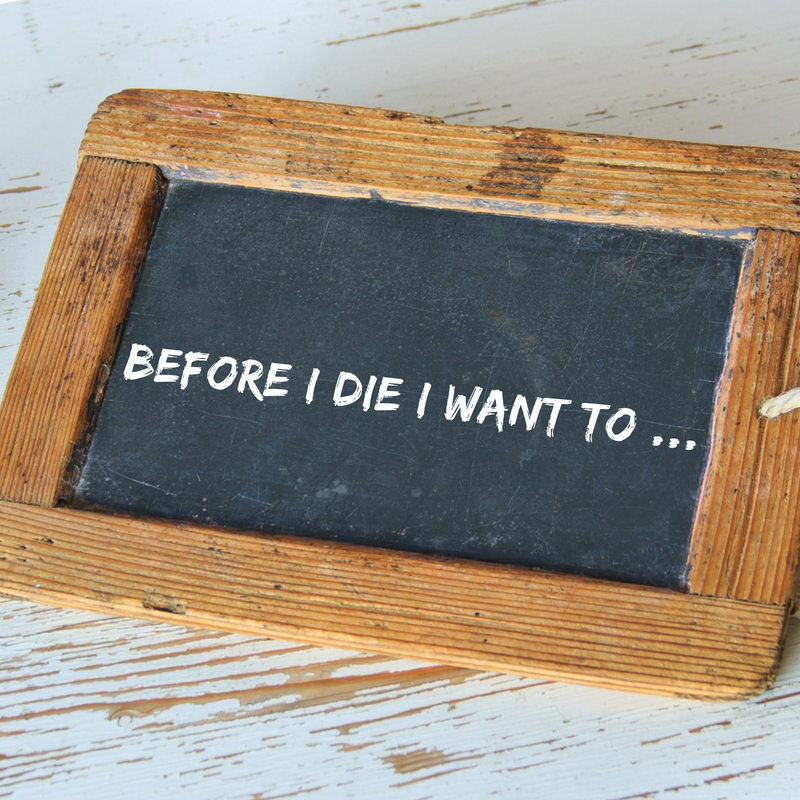 As I form my own list, memories are recalled of people I’ve met who have had the gumption to 'do’ the things they wanted to do before they die. I was privileged to witness them ‘doing’ some of those things. In my early twenties I bought a round the world ticket, a backpack and took to the globe. Around 2 am in Rio de Janeiro's Sambadrome friends and I jiggled around taking sips from a tequila infused Camelbak as a sensory feast paraded before us. There I met a Canadian lady in her seventies doing likewise but minus the regrettable tequila. Her intention was to travel every country in the world. I forget the exact number she was up to but she was giving it a damned good nudge. She saw the sun rise with the rest of us. In Huacachina, Peru, I met a single mother with two children of ten and twelve staying in the same hostel. Not your usual family holiday accommodation, more of a bunk-bed-bones-of-your-bum kind of affair. She wanted to show her children the world and take them on a great, gritty adventure, without shielding them from realities they might encounter. Here at home, I'm planning an article about a lady who has held a lifelong dream of seeing the Iditarod dogsled race in Alaska. Her fascination began in her childhood, now in her sixties, she is going next month to finally experience it. She will watch from start to finish and also hitch a ride with one of the competing teams. These people and their stories stick in my mind. They thought; why not? Why wait? When they had the opportunity to do it, they did it. They had the good sense to realise that time is a wicked mistress.